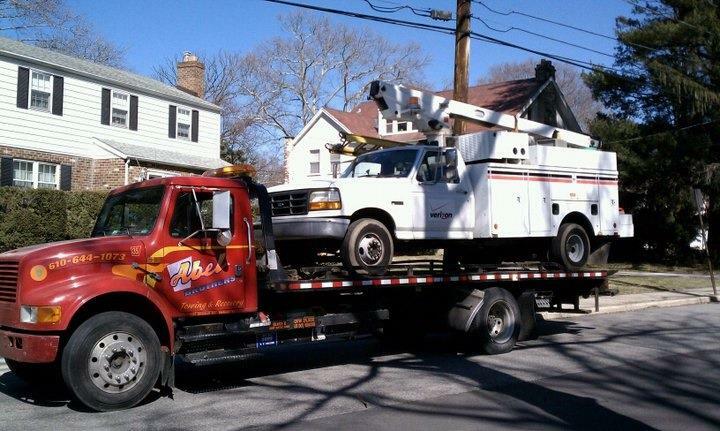 Equipment Towing. 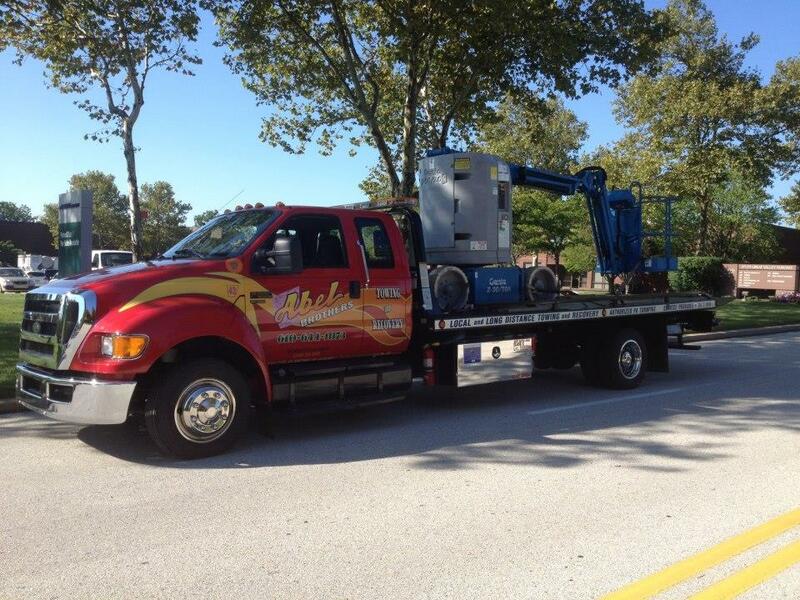 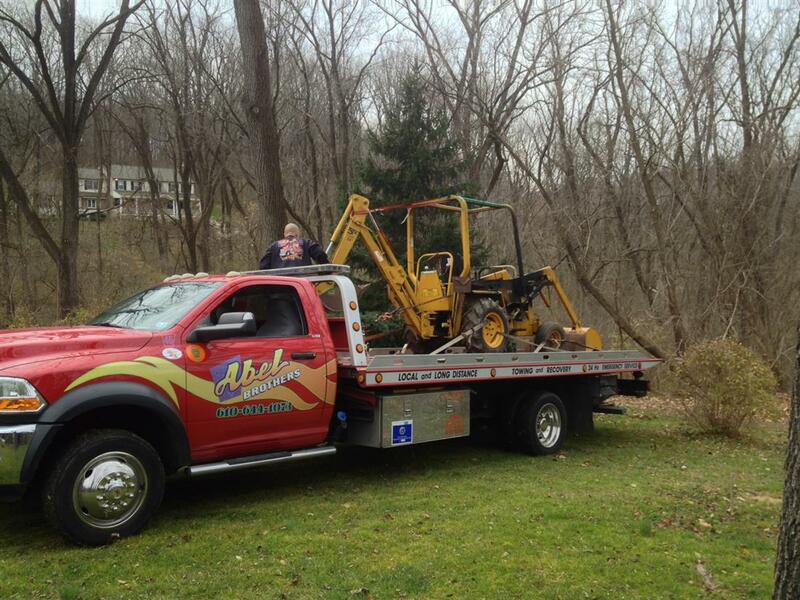 Abel Brothers Towing provides cargo and equipment hauling services throughout metro Philadelphia and southeastern Pennsylvania. 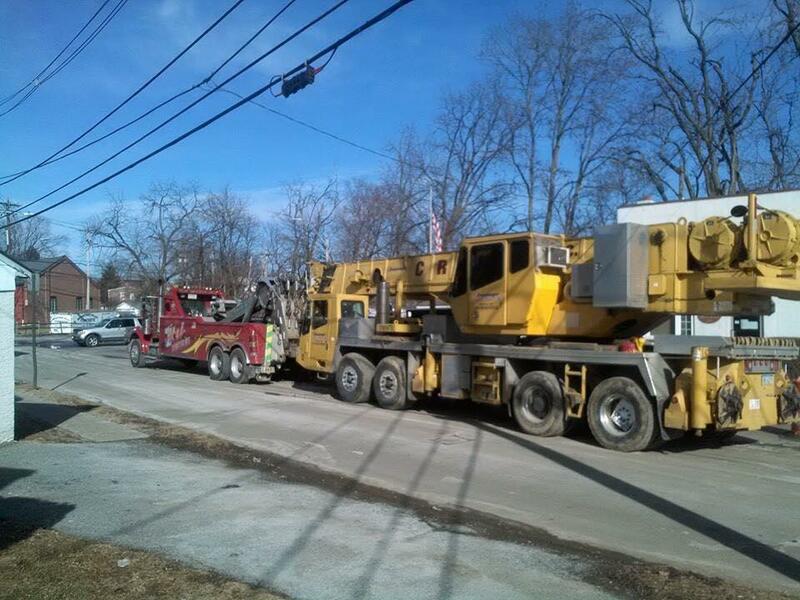 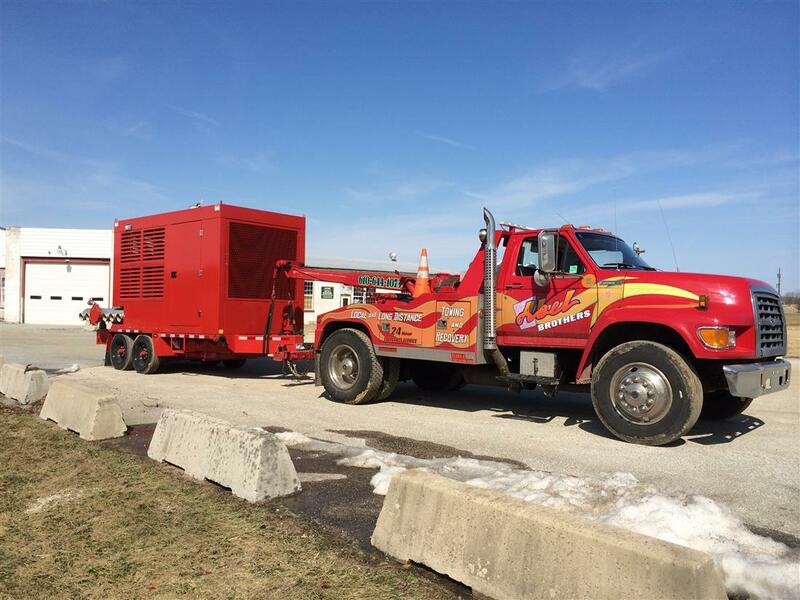 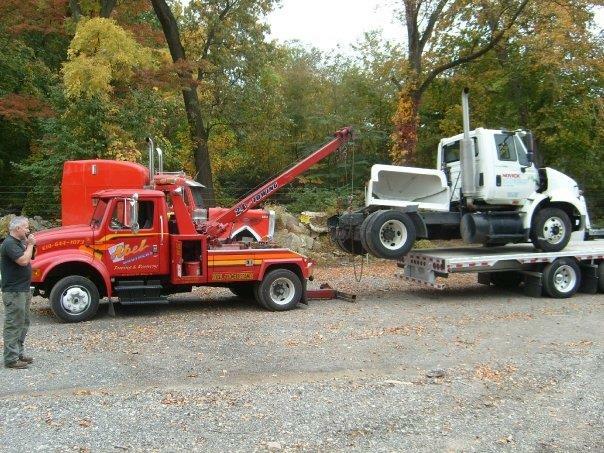 We provide immediate and emergency cargo and equipment hauling via our lowboy and landoll truck service. 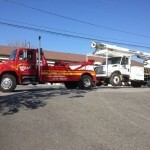 We can be contacted 24/7/365. 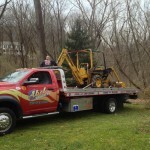 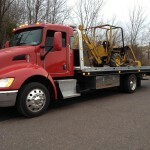 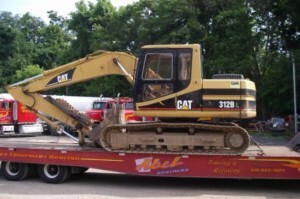 Abel Brothers Towing provides immediate delivery of equipment and cargo. 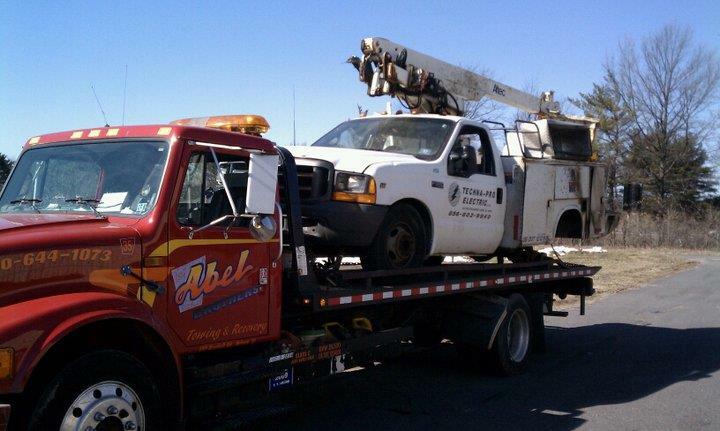 We provide support for construction and maintenance companies, logistics and transportation companies and other companies who’s work requires immediate or unpredictable asset requirements. 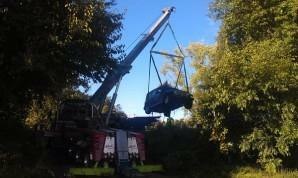 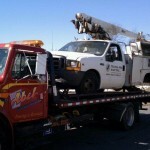 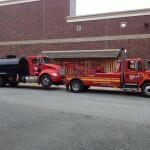 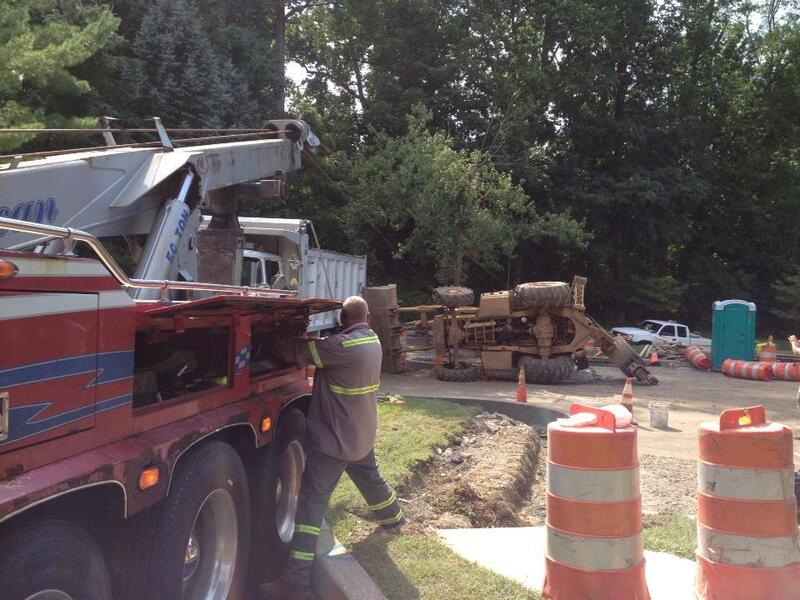 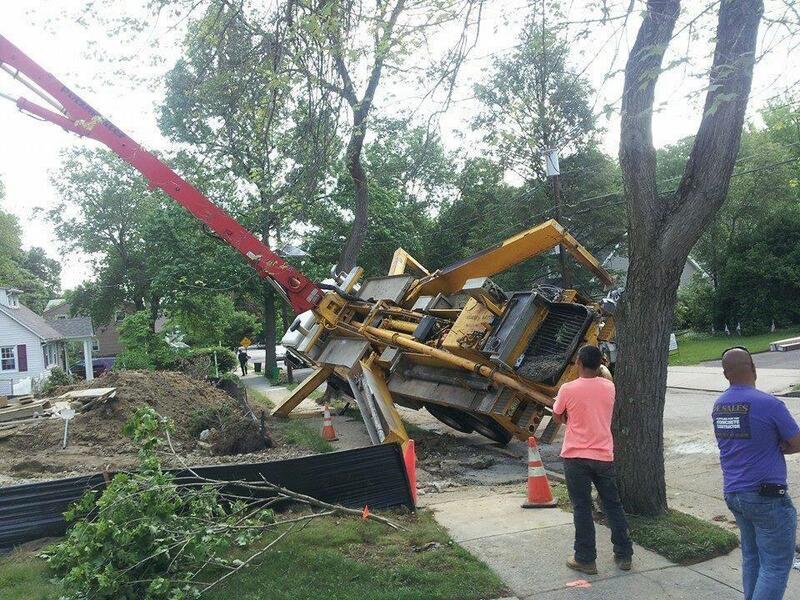 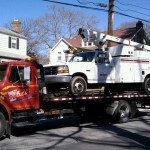 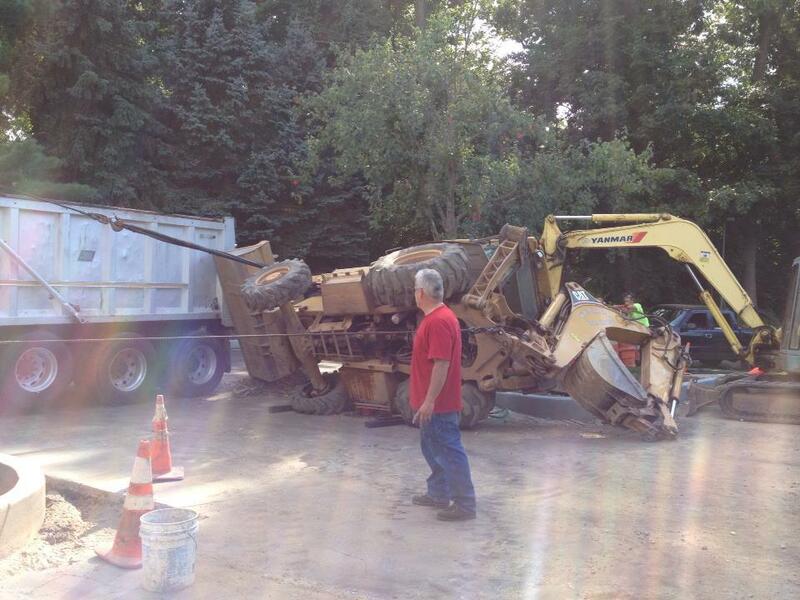 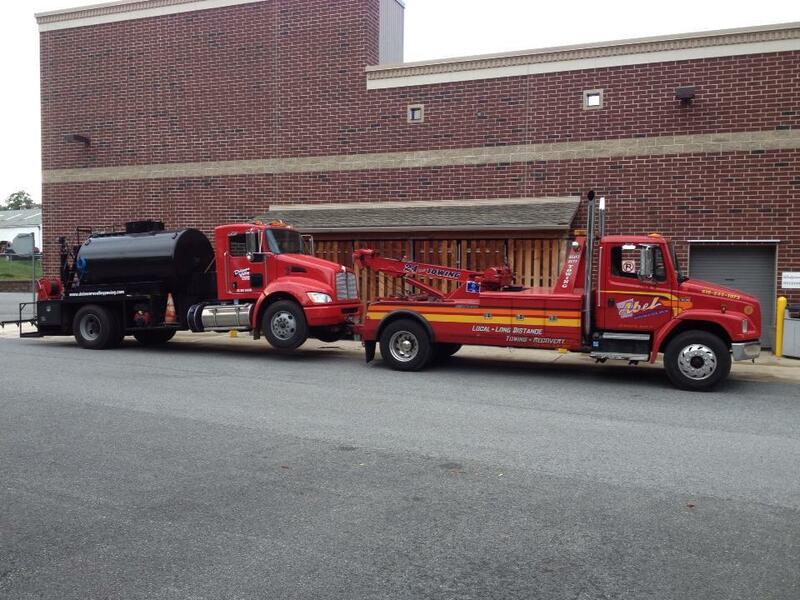 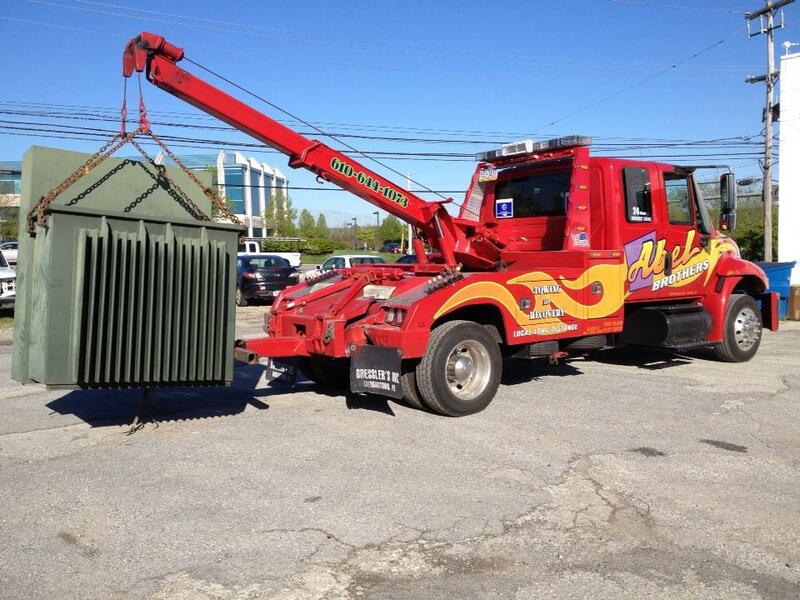 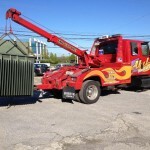 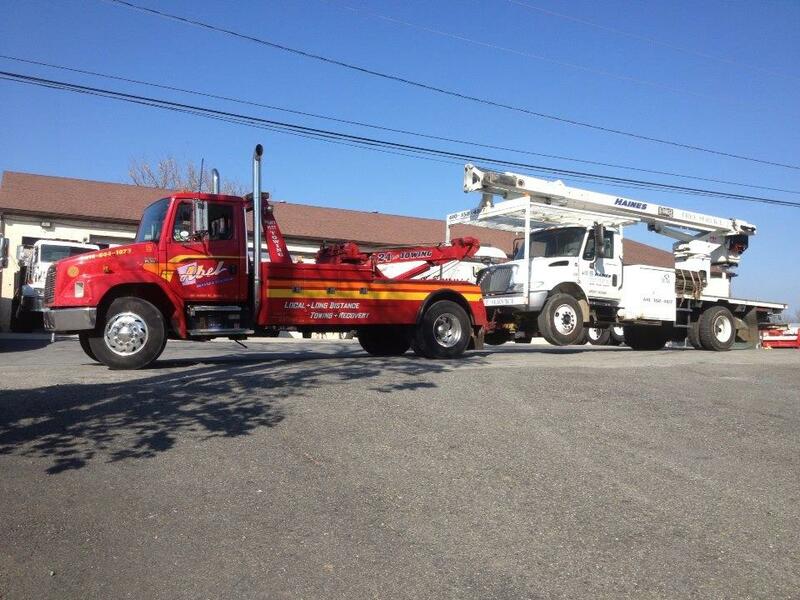 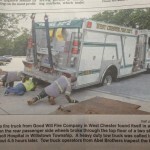 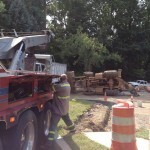 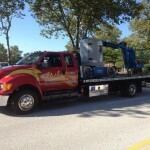 Our tow truck fleet will safely haul any load anywhere at any time. 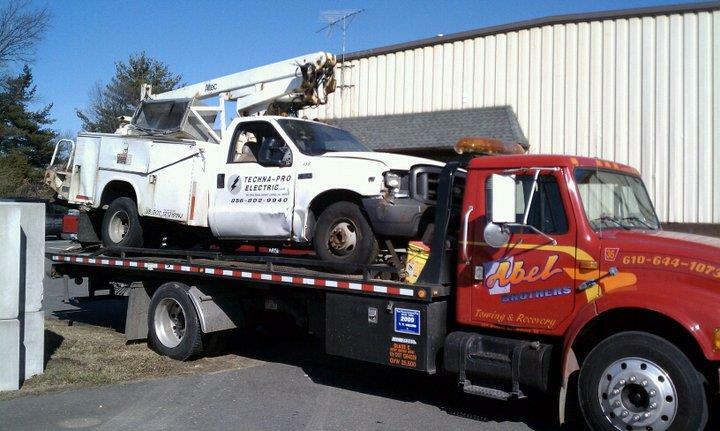 Abel Brothers Towing provides light and heavy equipment hauling for short and long range deliveries. 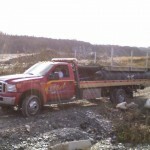 Our truck capacity will handle loads from 800 lbs. 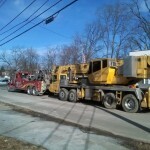 to 80 tons. 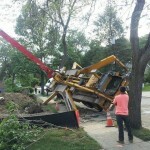 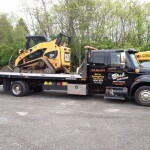 Did you just purchase equipment from an auction? 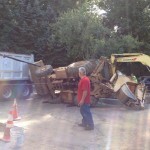 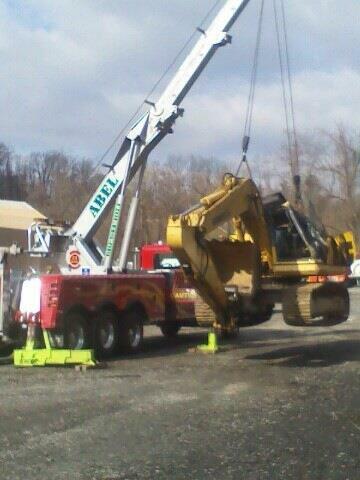 Abel Brothers Towing can move that equipment from the auction house to your location. 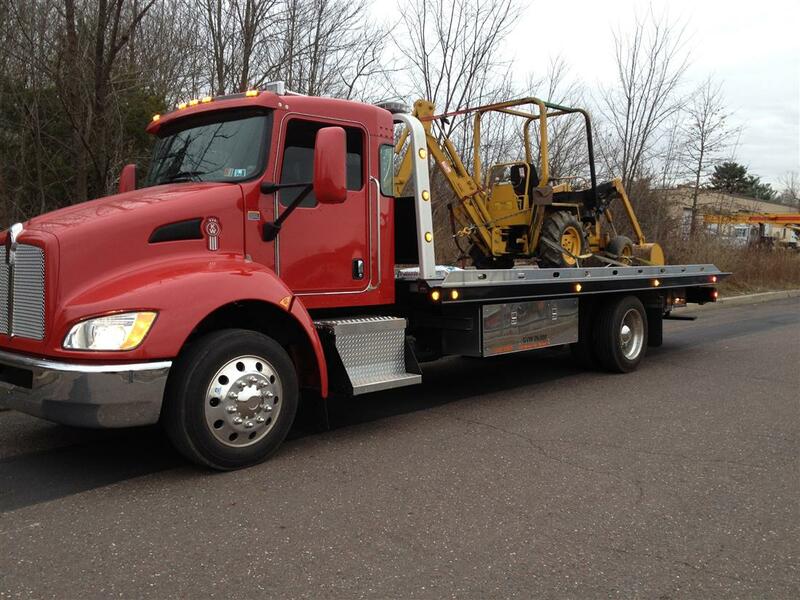 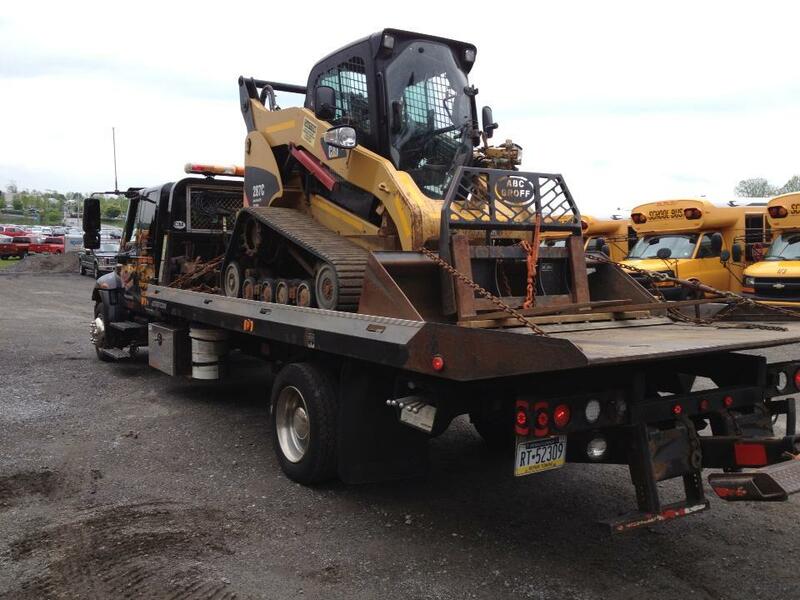 We offer auction hauling throughout Pennsylvania and can provide multiple trucks for large loads or fleet purchases. 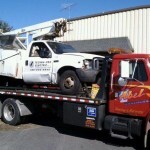 Abel Brothers Towing team provides trailer hauling services for all types of construction and office trailers. 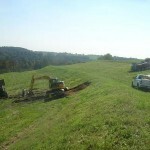 We move, block and level, anchor and install skirting as needed. 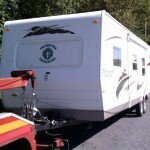 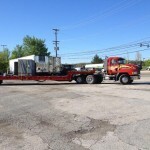 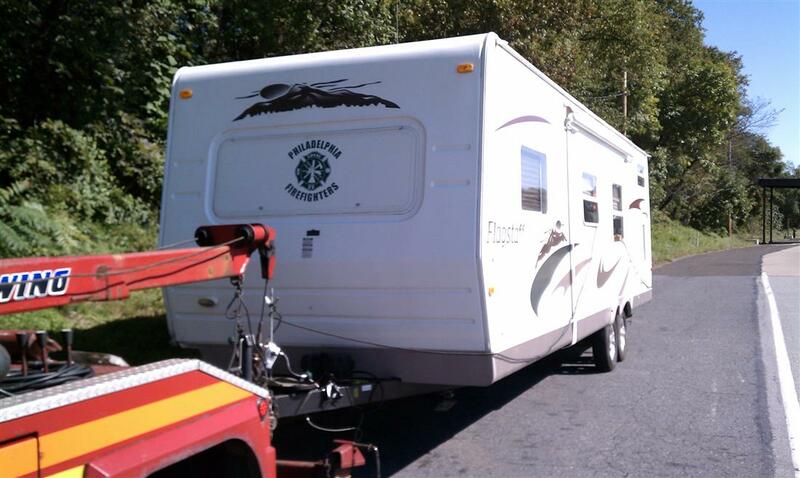 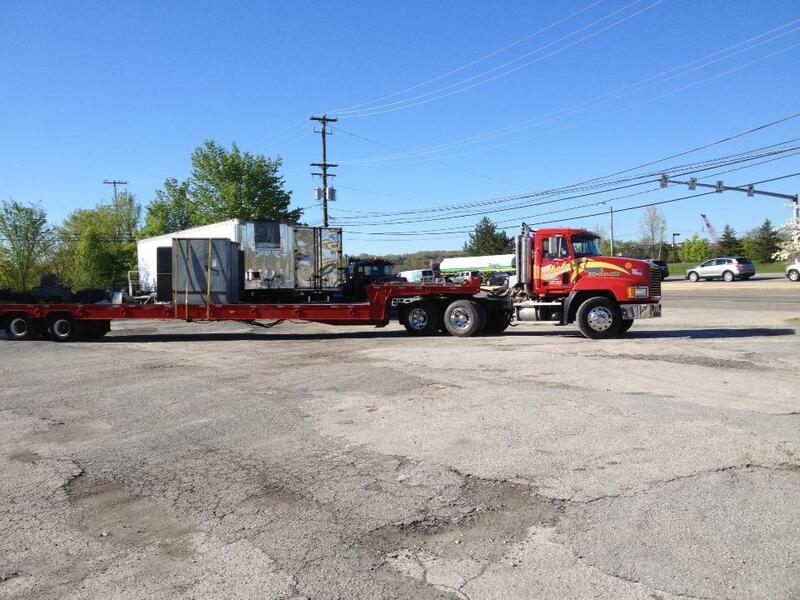 We also provide double-wide hauling. 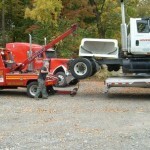 We re-install axles, tires and hitches to prepare trailers for transport. 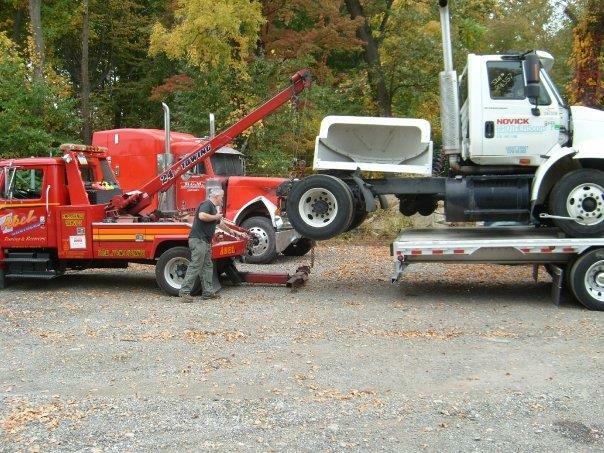 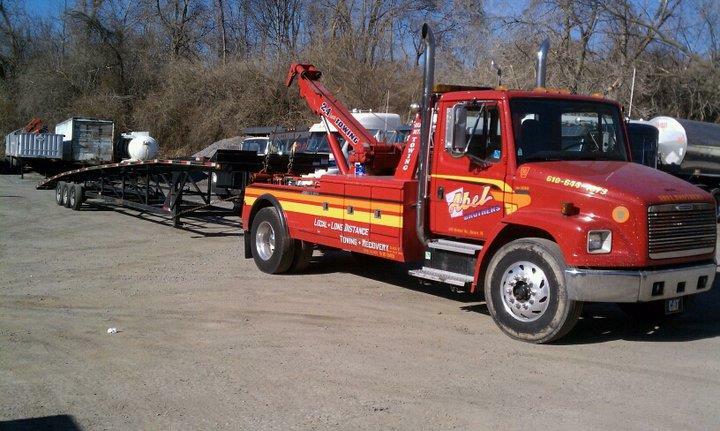 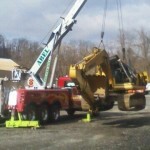 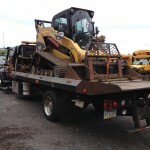 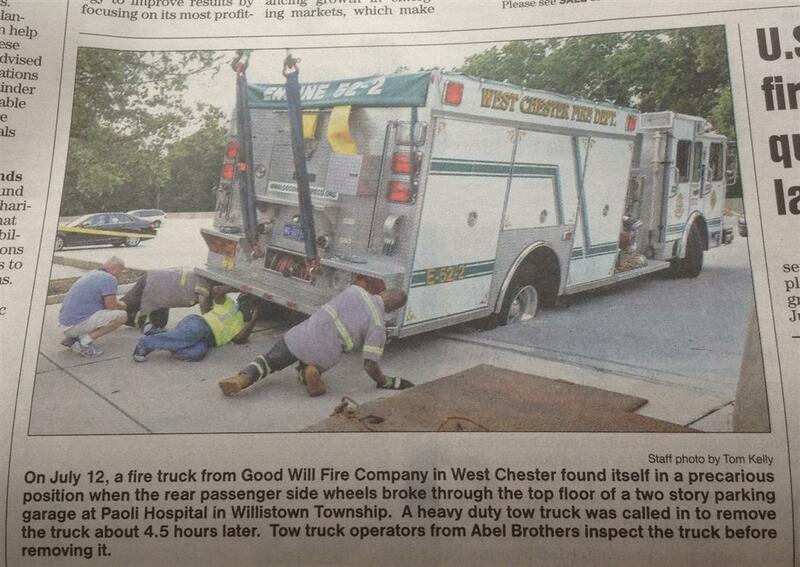 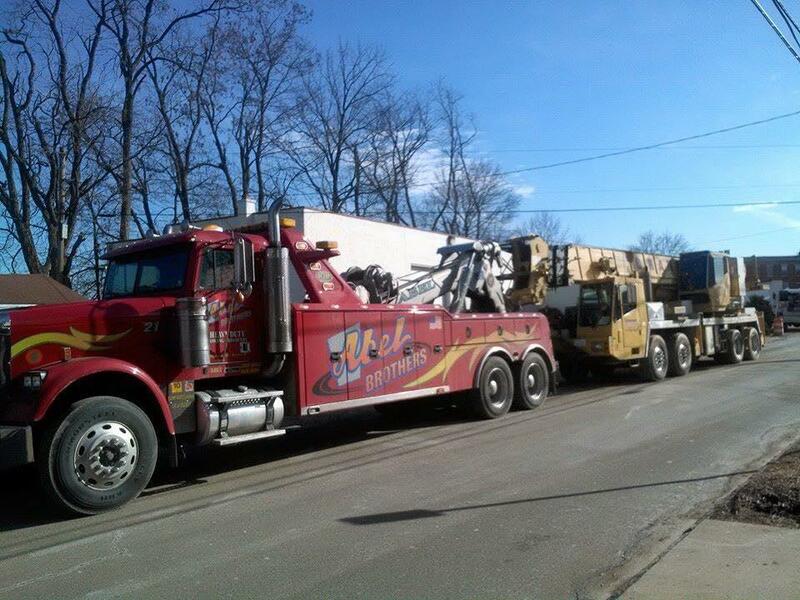 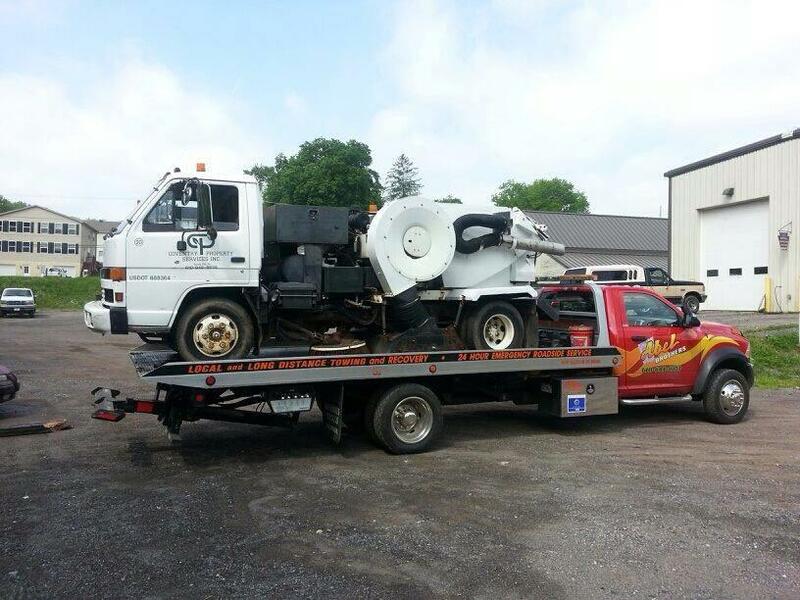 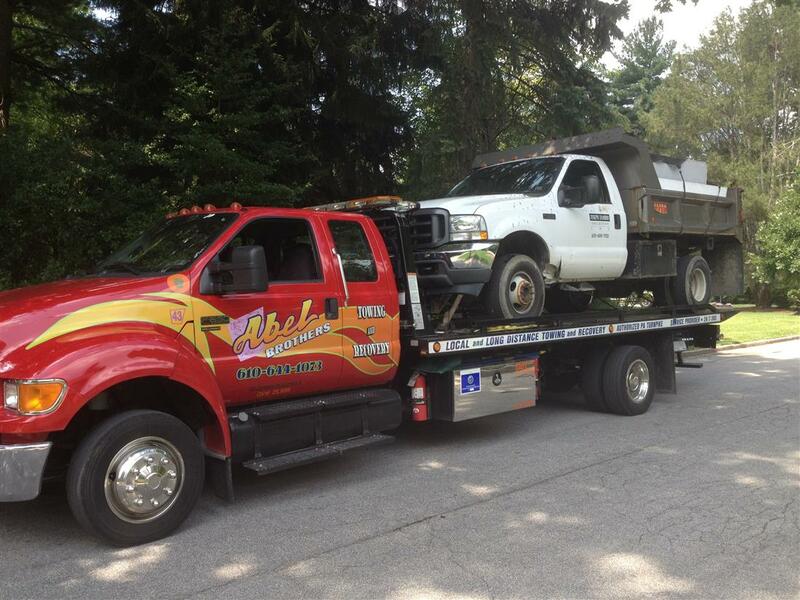 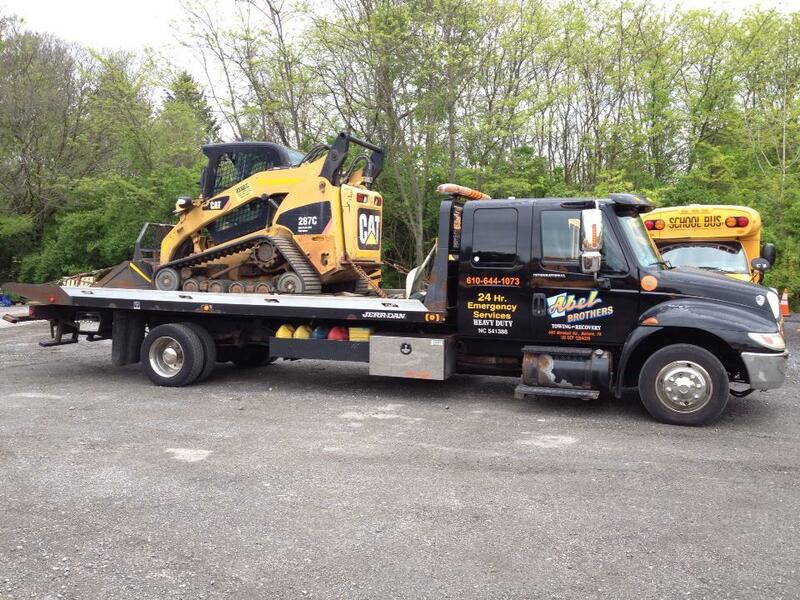 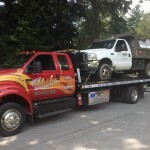 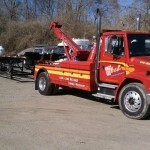 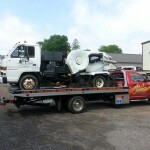 Abel Brothers Towing is your one-stop source for safe and permitted over-sized load hauling in Pennsylvania. 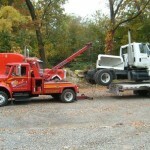 Our expertly trained staff will handle the entire process ensuring uninterrupted delivery of your load. 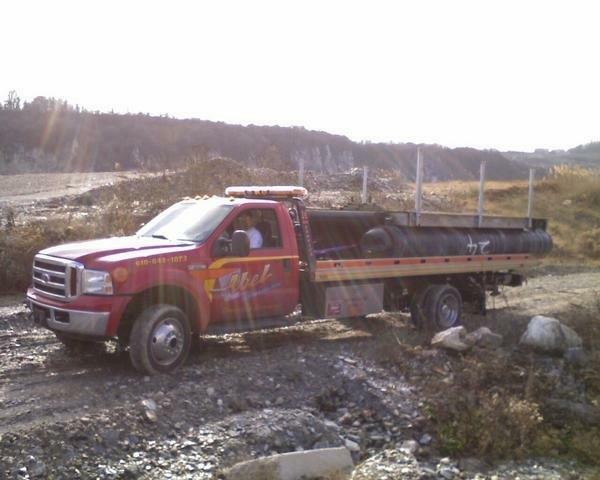 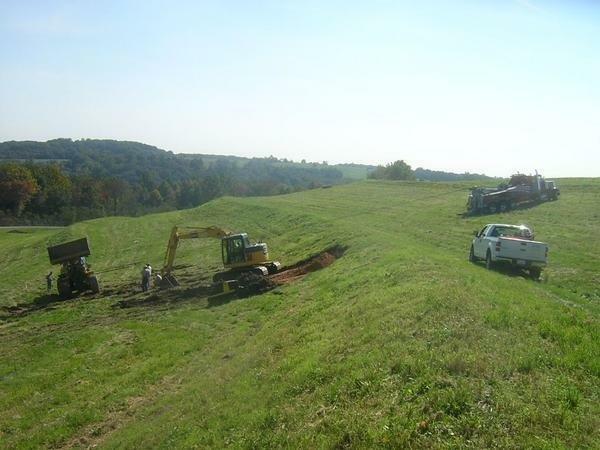 Our team has provided complete over-sized load services for many of the area’s largest companies providing them with excellent services and piece of mind that all permitting issues are resolved with every jurisdiction along the haul. 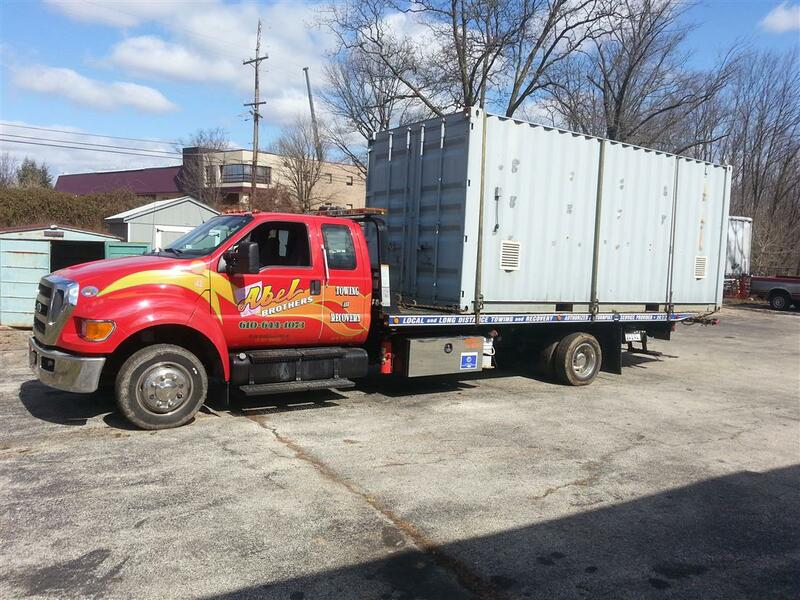 Abel Brothers Towing also provides shipping container loading, hauling and storage. 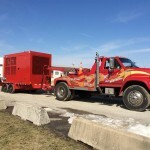 Although 20′ and 40 ‘ sea containers are the most common sizes Abel Brothers Towing is prepared to provide complete container services for sizes from 10′ to 53’. 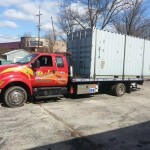 Our team of trained cargo professionals can provide loading, stacking, hauling and unloading of containers.